Tools and insights for agile software development, product management, and lean methodologies to help you invent for your customers. and be better informed about what’s happening in agile development! We’ve received your request — you’re almost subscribed! Please check your email to confirm your subscription. We look forward to sharing the best Agile and Product news and insights with you! There’s been an error, and consequently we haven’t received your subscription. Please ensure your email address is correct, and try again. Age of Product's Food for Thought of May 1st, 2016 covers tips & tricks for writing awesome user stories, why 90% of feedback is usually crap, dives into the old discussion — estimations in story points or hours? —, and how to manage developers if you have no clue about coding. We also explore why effective people think simply, and how to find product market fit or decide when to pivot. We dive deep into Google design sprints and product storyboards. Roman on why working with user stories is easy, but writing good stories can be hard and what to do about it. Anastasiya goes into detail on two highly-discussed estimation measures: story points and hours and when to use what method. Kathleen – professor at Stanford University’s School of Engineering – studied how product development teams burdened by a complicated set of rules frequently derail while teams with no rules at all never even get started. People are good at starting. And people are really bad at stopping. Mat of Ruckworks.guru shares a success story on how Agile transformation cured a health care software company's aches and pains. Alex on what makes developers tick and how to manage them when you don’t have a technical background. Join 21,733 Peers and Subscribe to Our Weekly 'Food for Agile Thought' Newsletter! Subscribing to the ’Food for Agile Thought’ newsletter with 20,000-plus subscribers. Authorizing our newsletter service provider ConvertKit to process your data to deliver newsletters. European subscribers can define – or skip – marketing permissions in the following step. You may, of course, unsubscribe from the newsletter at any time. We've received your request — you're almost subscribed! Please check your email to confirm your subscription. We look forward to sharing the best Agile and Product news and insights with you! NOTE: If you do not receive the confirmation email within about 10 seconds, please also check the spam folder. Thank you! Subscribe to Food for Agile Thought Now! Nat, co-founder of Flatiron Health, shares his unique methodology to systematically find the next great thing without being what he calls “a visionary founder”. Chargify on how to evaluate product/market fit, and how to know when to stand firm (remaining focused on your current product) and when to change direction. Eric of Zapier introduces the ‘Design Sprint’ methodology of Google Ventures. Christina describes how using story architecture principles can be beneficial when trying to design a meaningful product customers will love and adopt. In the workshops on innovation I run, we also use this to familiarize users with the product promise before doing participatory roadmap exercises. It provides context to people as they prioritize features. Iwan – business analyst at the BBC – on how his team has iteratively built a set of operational dashboards to help them understand their data-driven product, and unravel how users are actually behaving. Joe on a paradox: “Shouldn’t the most accomplished be well equipped to make choices that maximize life satisfaction?”. Gideon shares a list of 25 people that are the “unsung creative, technical, and social visionaries working to bring the incredible world of tomorrow to you today”. SOON, SOFTWARE WILL know how you feel—and will use that data to sell you things. The gig economy will go global (but it’s not Uber-take-all). The tech industry will finally be inclusive. AI will achieve something like common sense, and it will be open source too. Stefan—based in Berlin, Germany—has been working for 13-plus years as an agile coach, Scrum Master, and product owner. He is an XSCALE Alliance XBA Coach (XBAC) as well as a member of both Scrum.org (PSM II) and Scrum Alliance (CSP, CSPO, CSM). He is also a certified LeSS practitioner (CLP). He has developed B2C as well as B2B software, for startups as well as corporations, including a former Google subsidiary. 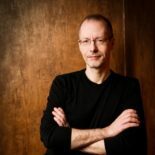 Stefan curates the ‘Food for Agile Thought’ newsletter and organizes the Agile Camp Berlin, a Barcamp for coaches and other agile practitioners. Age of Product is a trademark of Berlin Product People GmbH. Copyright ©2019 Berlin Product People GmbH. All rights reserved. This website uses Google AdSense, a service for including advertisements from Google Inc. (“Google”).